Arc-Fault Breakers are designed to prevent overarching and overheating in your electrical systems. Arching naturally occurs when an appliance or switch is turned on basically completing the circuit of electricity. There can be times when an arch occurs that are unsafe. If the connections have corrosion or are damaged, it can occasionally make unintentional contact causing “miss-fire” arching or sparking which can lead to fire. These special breakers are specially designed to determine if the arch that is occurring is a natural connection (caused by turning on something) or if it is an unsafe one. These can save you money and your life. Call A.D.I. 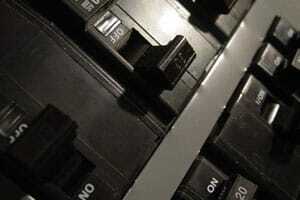 today to see about installing Arc-Fault breakers in your home.